Students, look no further!!! Reserve now for the 2018-2019 academic year. A fabolous four double bedroom house located in an ideal location for Coventry & Warwick University students. Comprising of four double bedrooms, two bathrooms and an additional WC, fully renovated 2 years ago. 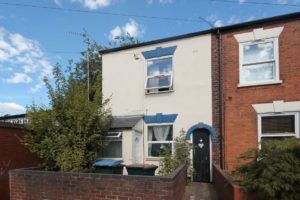 No more than a few minutes walk to the bus stop and 10 minutes walk from the bustling Earlsdon High Street. A modern house with all of the trimmings including high speed broadband, water, gas and electric included. The house comes with a complete weekly clean for all communal areas and bedrooms bi-weekly. - Modern fully fitted kitchen equipped consisting of larder frdige, gas hob, electric oven, extractor, microwave, dining table & chairs.